Strawberry flavoured high protein & low fat protein snack that tastes like a flavoured yogurt. Water, Whey Protein Hydrolysate (Milk) (20%), Quark (Milk), Acidity Regulators (Phosphoric Acid, Citric Acid), Natural Flavourings, Stabiliser (Pectin), Colour (Beetroot Red), Sweeteners (Sucralose, Acesulfame K), Preservative (Potassium Sorbate). 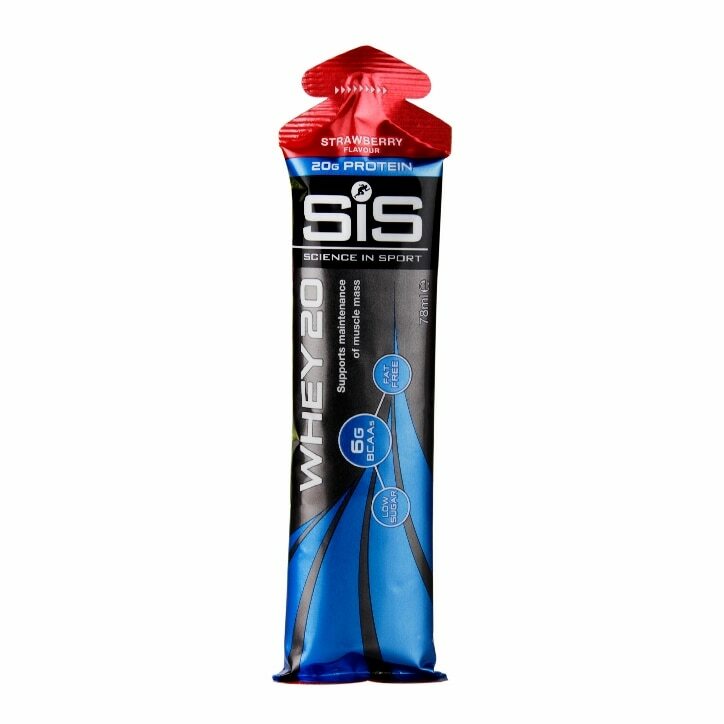 SiS WHEY20 Protein Strawberry is rated 5.0 out of 5 by 1.